In this tutorial you are going to learn how to print google map landscape which can often be a better orientation for maps. 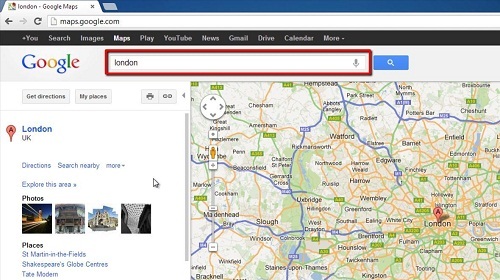 Visit “www.maps.google.com” and in the search bar at the top locate what you want to print. In this example we are printing an overview of London, so we are searching for “London”. In the options on the left you will see a small icon that looks like a printer, click this. 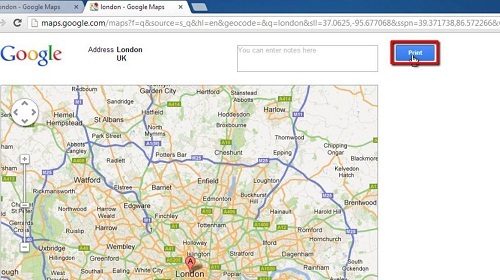 A new tab will open with the maps image optimized for printing. At the top right of this image click the button called “Print”. A window will open allowing you to change the printing settings. In the bar on the left of the window, locate the area called “Layout” and select “Landscape”. You will see the print preview on the right change. 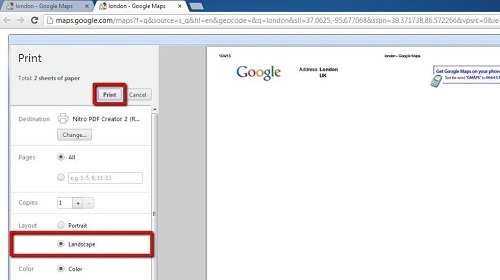 Finally click the “Print” button and that is how to print google map landscape.